Yoojeong Chae is a Korean leather Artisan based in Beijing. 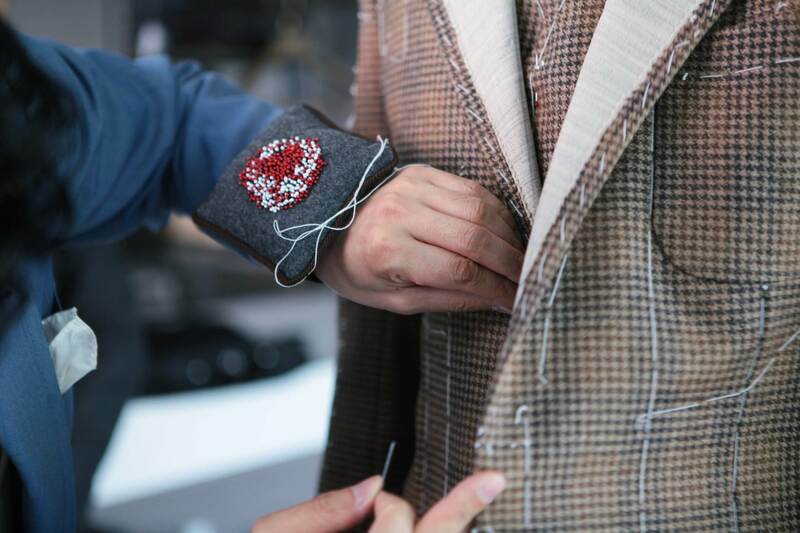 She initially started as a fashion designer with a degree from Tsinghua University of Design. She started her career at Escada in Germany, which is where she found her passion for leather work. She then decided to do her leather work training at the renowned Scuola di Cuoio in Florence, Italy. Throughout her career, she developed a sense and dedication for high-quality materials. She uses highest-grade leather from Italian & French tanneries and extra durable yarn from France. 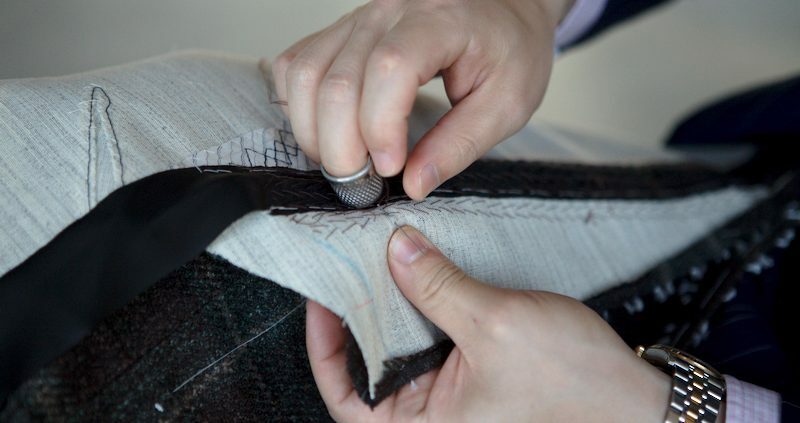 She makes all of her products at her studio, which is located in the art district Cao Chang Di in Beijing. We teamed up with Yoojeong and designed a passport case that she made. 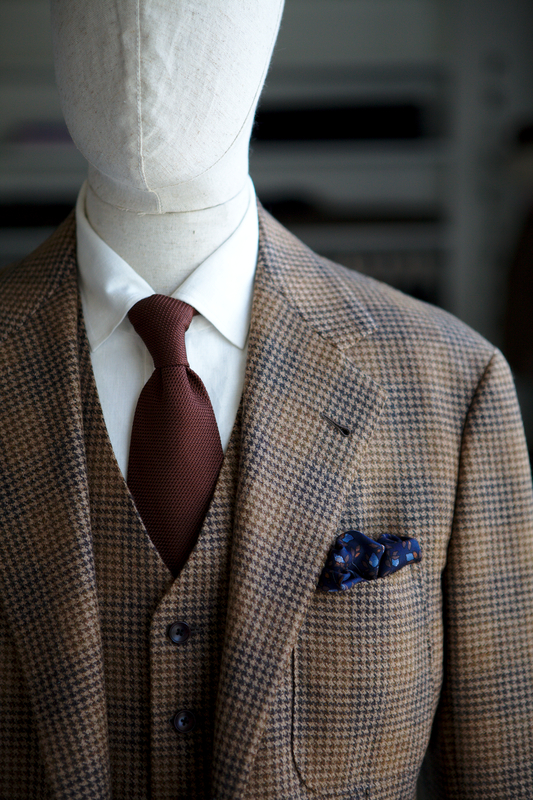 We chose a vegetable tanned leather from the Badalassi Carlo Tannery in Italy. It is a milled grain leather—Milling is a process that allows individual hides to produce its own unique grain. It’s a whiskey color that will get darker and more beautiful over time as it gets a natural patina from sunlight and human touch. The lining is also a vegetable tanned leather from Italy that has a natural eggshell color and “cracked eggshell“ appearance. 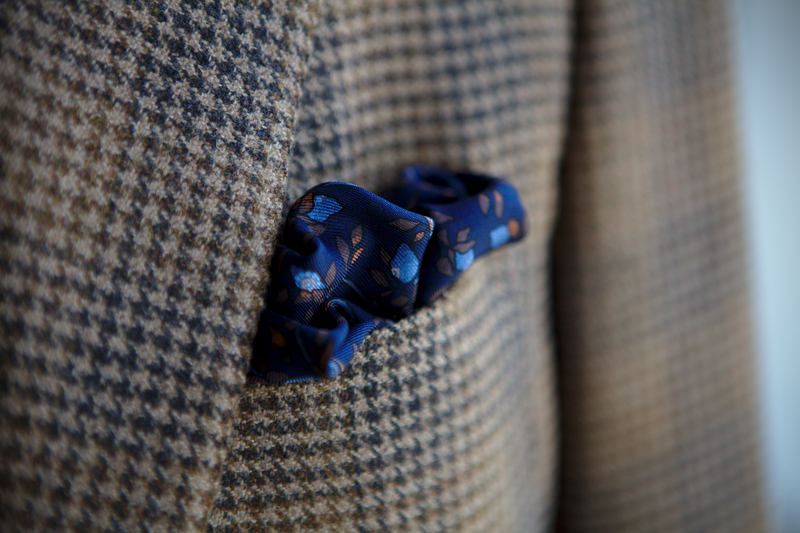 There is a contrast stitch that matches the inner lining closely that gives it a nice detailed look. All of the stitching is ’saddle stitched’ by hand which is superior to lock stitching by machines. If a thread breaks the saddle stitching will keep it together where the lockstitch will unravel and come apart. 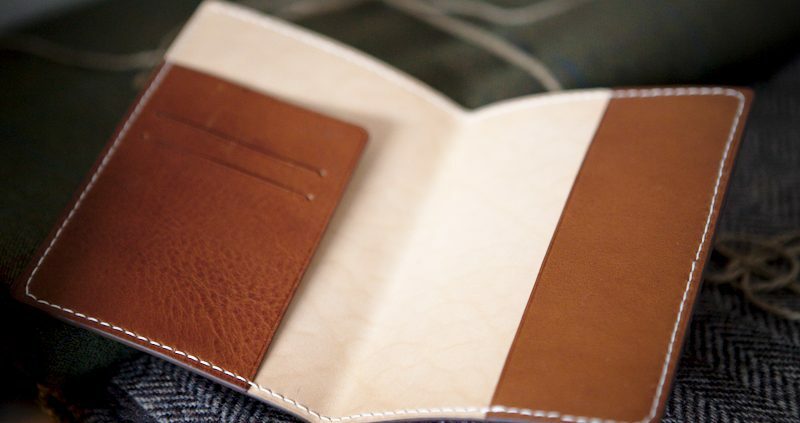 The process of making a passport case by hand requires time and effort. 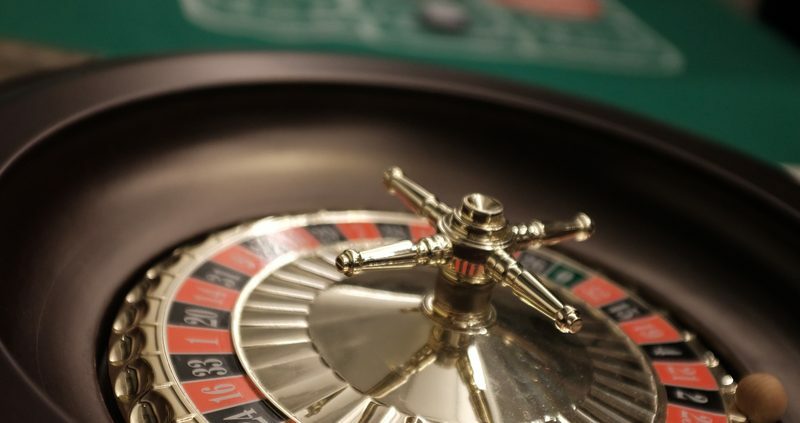 Add on top of that quality leather and tasteful design that will look better over the years and you have a beautiful product that is timeless for the frequent world-traveler. 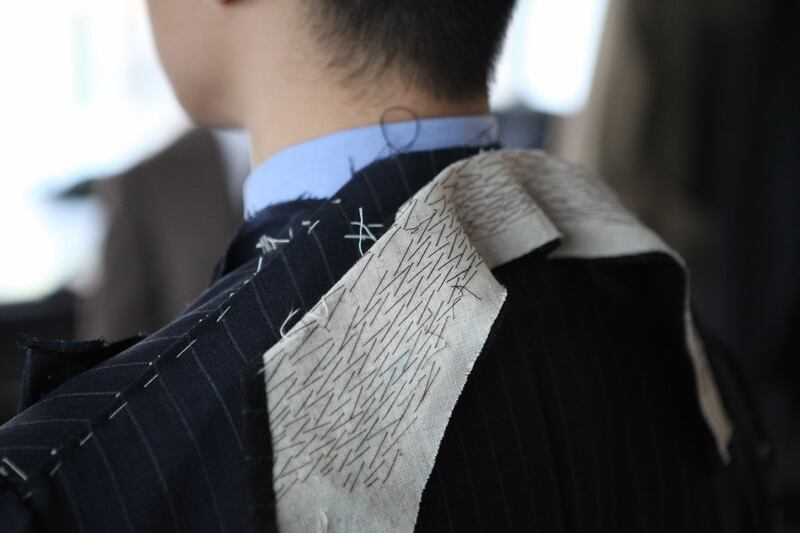 A beautifully tailored garment takes a litiile bit time. 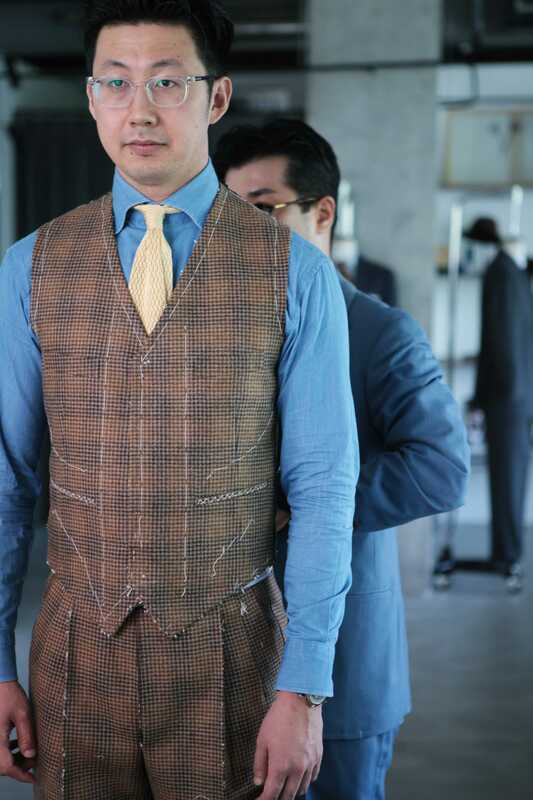 In this video, it shows the process of bespoke suit from start to finsh. 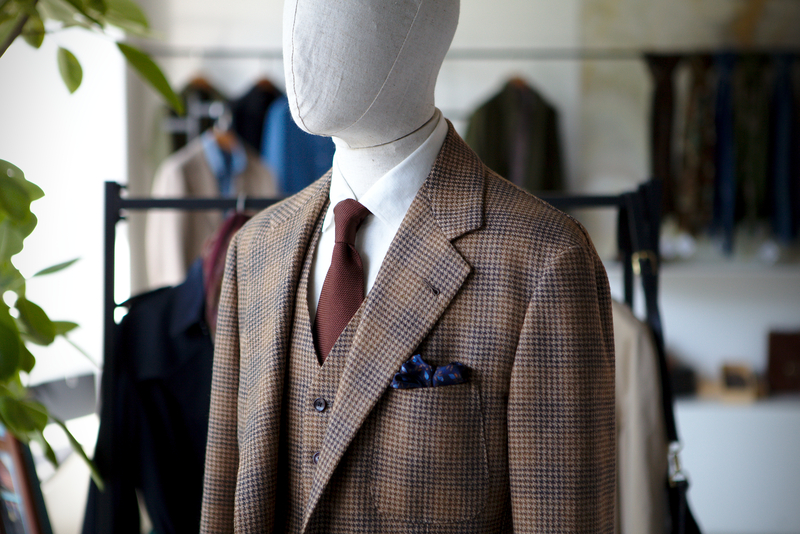 At Principle M, we mainly offer made to measure suits, shirts, coats, and so on, as well as accessories. The majority of our clients meet us at our shop in person to commission orders. 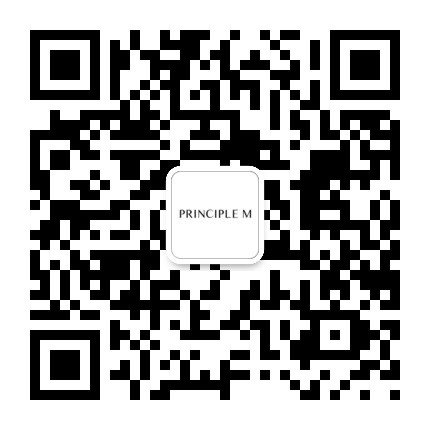 However, we have had a growing client base online who purchase our accessories on our Taobao webshop. A lot of guys asked us if we would ever have anything ready to wear. Well, that wait is over (the wait was actually over in April when we launched it but it has taken a bit of time to get this up on our blog). We found a 4.5oz. 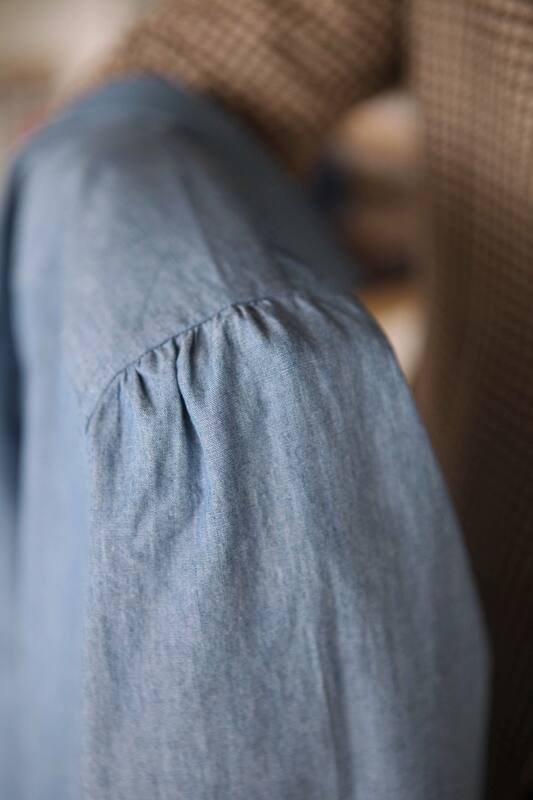 denim from one of our Japanese cloth suppliers that was a good four season weight. 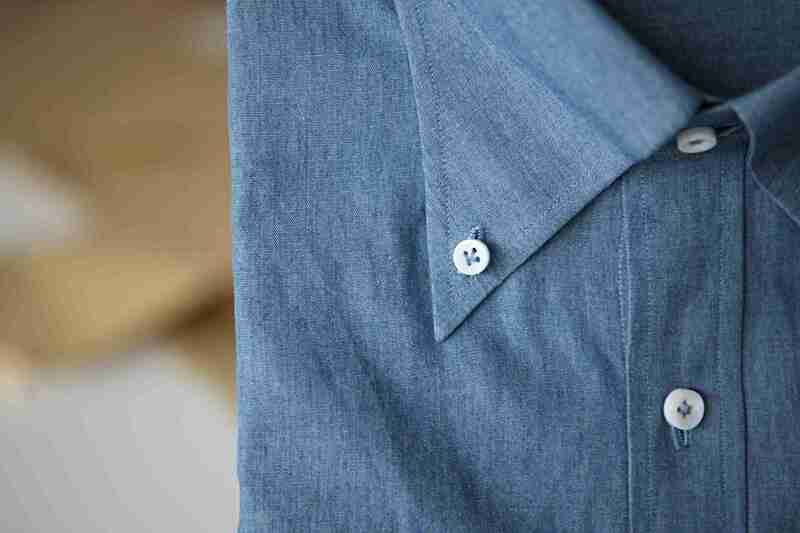 Then, we designed a button down collar that is a bit longer and has a nice ‘S’ curve to it, giving it a nice relaxed look. 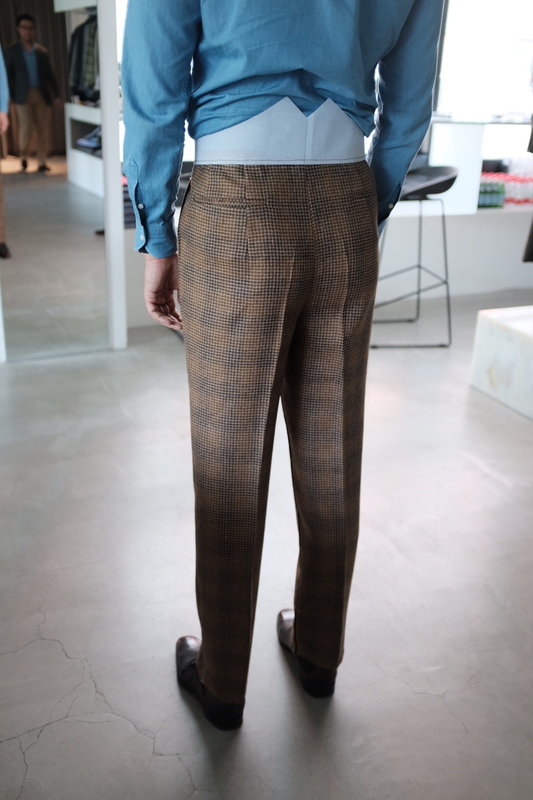 We opted to have gathering on the sleeve head and cuff as well for a relaxed look. 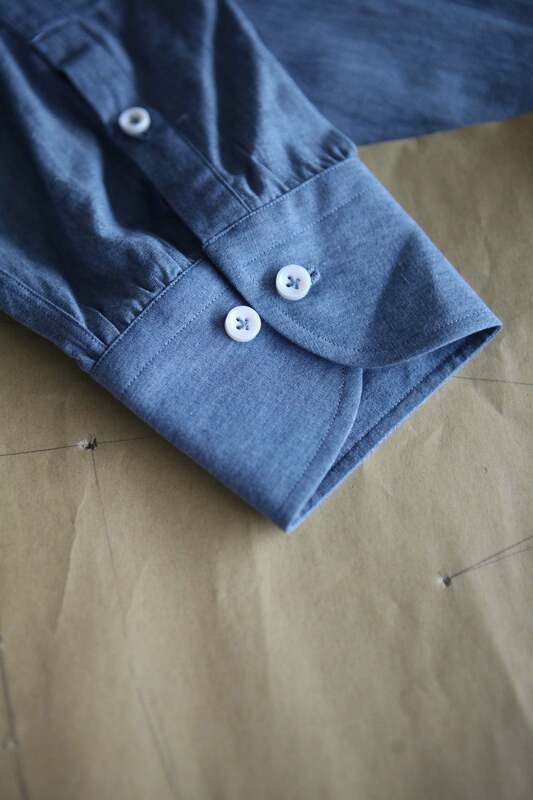 We make these ‘Tokyo Denim’ shirts using our ‘three-step-hand’ making process, meaning we hand set the sleeves, hand stitch the buttons and also hand stitch the button holes. 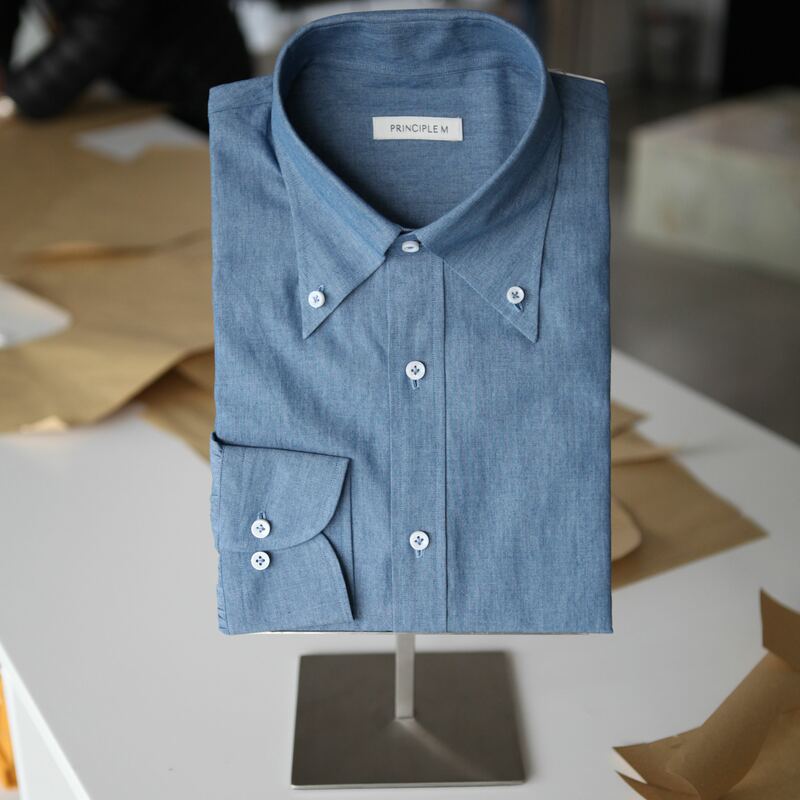 These three points on the shirt are made with hand construction because a hand set sleeve will have a bit more elasticity when moving around thus making it more comfortable. 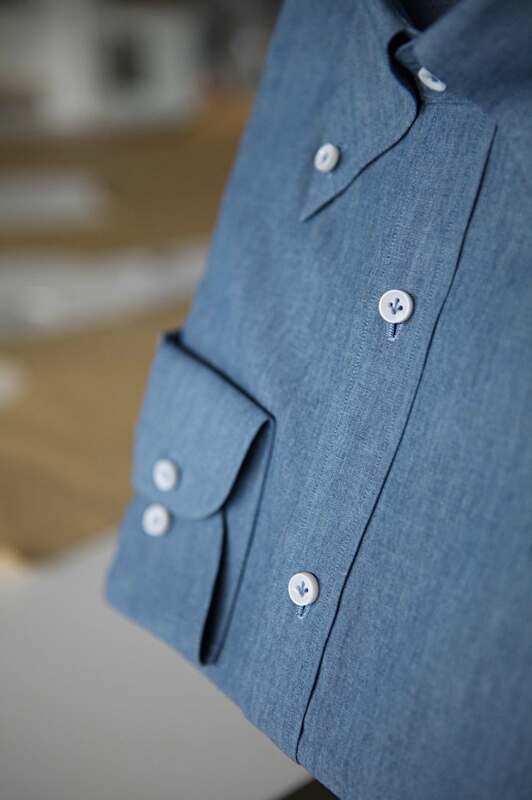 The buttons and button holes are hand stitched because the hand stitching vs. machine makes for a far superior shirt and it is much more aesthetically pleasing. 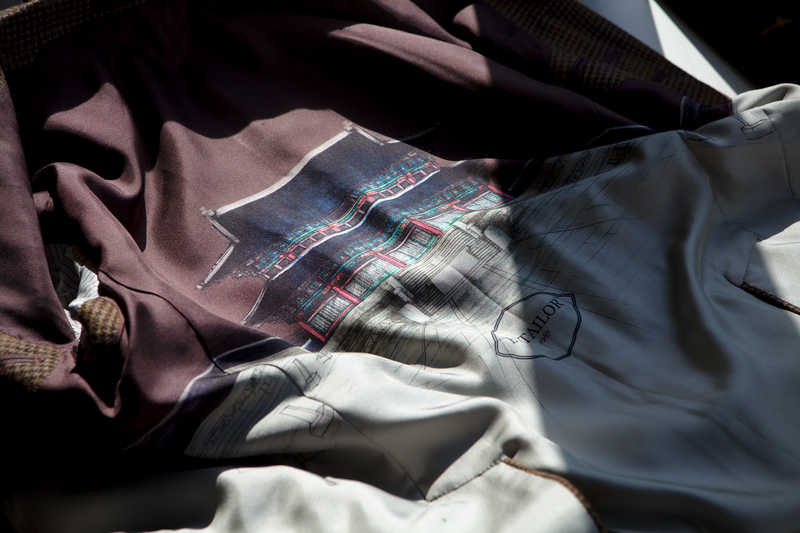 We sell this shirt for 780 RMB, just over a hundred bucks, which makes for a pretty valuable offer. Oh, it also includes shipping (in Mainland China, anyways). The Tokyo Denim was a big hit and we also launched the Nola Seersucker over the summer that was also well received by our clients. So, whats next? 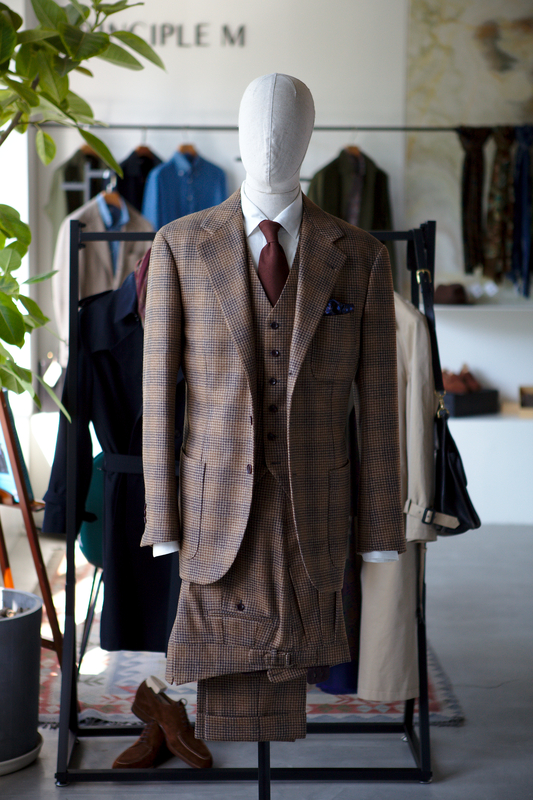 B&Tailor made their fifth trip to Principle M in the end of June. We had a great time with the guys from B&T as well as our dear friends and customers. Check out our video that Nicolas filmed and produced, it gives a great idea of the vibe over the weekend. We are looking forward to the next trunk show already! 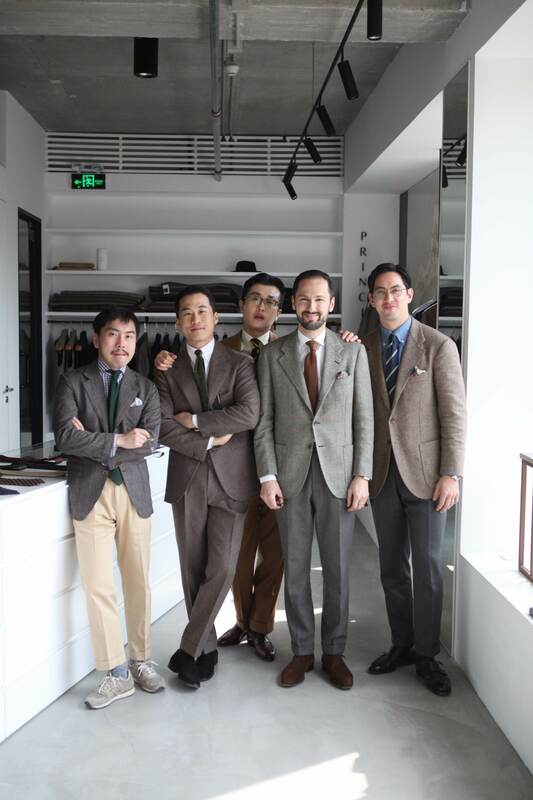 Chad and Changhoon will be back in Beijing this weekend for another Bespoke Trunk Show. This time Chad will also bring a limited quantity of his Chad Prom double-inverted-pleat ready-to-wear jeans as well. See you guys here as well as our clients for fittings. 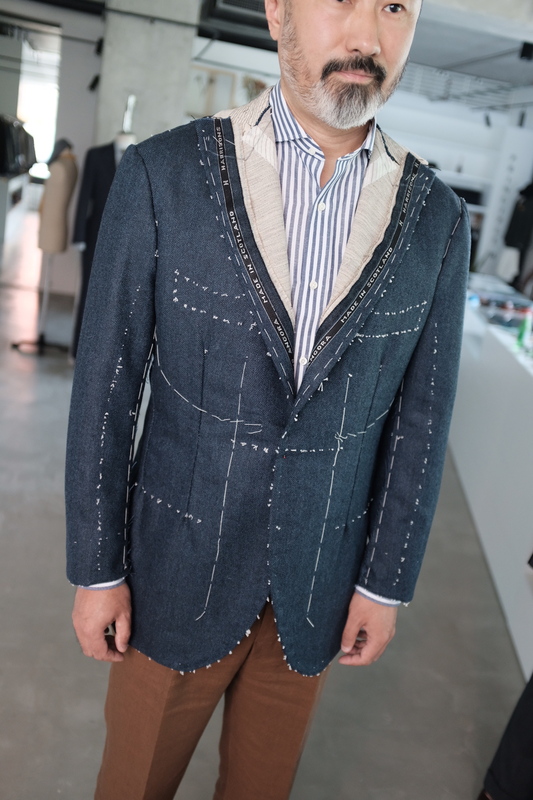 If you are interested in the jeans or dropping by to commission a suit, email us or drop by our shop. 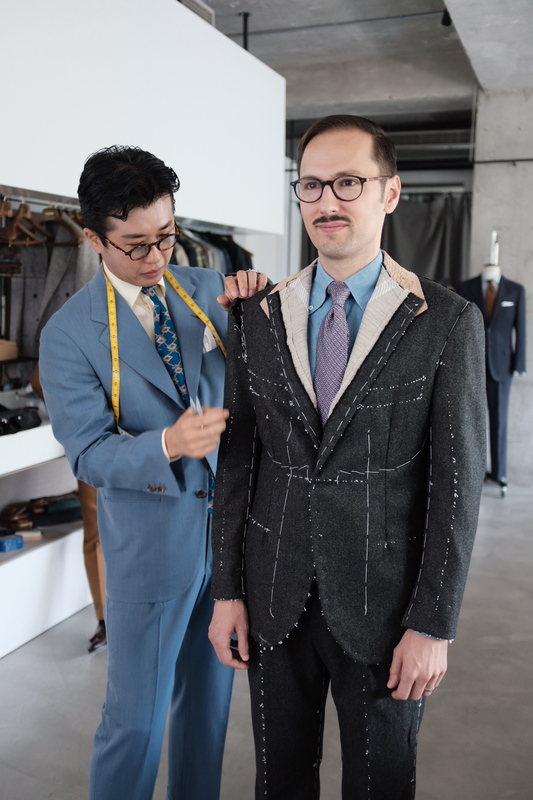 Jamen performs the basted fitting on Justin’s bespoke jacket. 2017 was a fantastic year and it is a little bittersweet to say goodbye. One of the biggest steps we’ve made in our short history of three-and-a-half years in operation was the move to our new showroom in Beijing. We worked with MDDM, an Italian-German Architect Studio in Beijing to design the space. We wanted something simple and modern to let our classical clothing take the spotlight and with an open work space, similar to our old location. 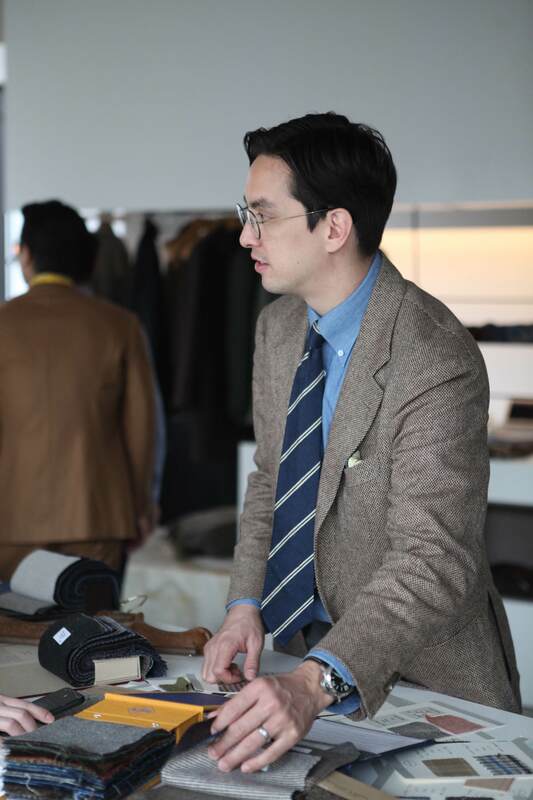 During the year we also hosted several trunk shows with bespoke Korean House B&Tailor and Igarashi and Sarto Domenica from Japan, who have both been warmly welcomed. We’ve expanded our collection of ready to wear by introducing brands such as Valstar, Hestra, Chrysalis, Private White V.C., Calabrese, Johnstons of Elgin and more. 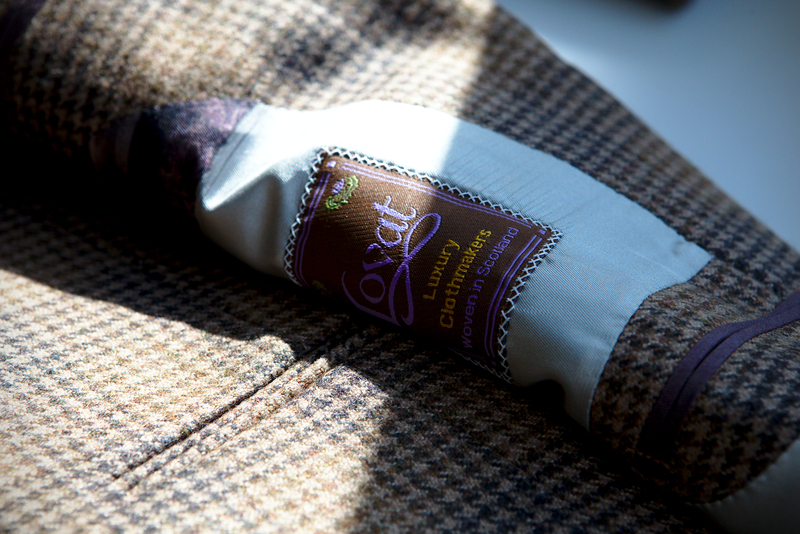 Along with these brands, we’ve continued to make our own private label ties in Paris and belts in the south of France. 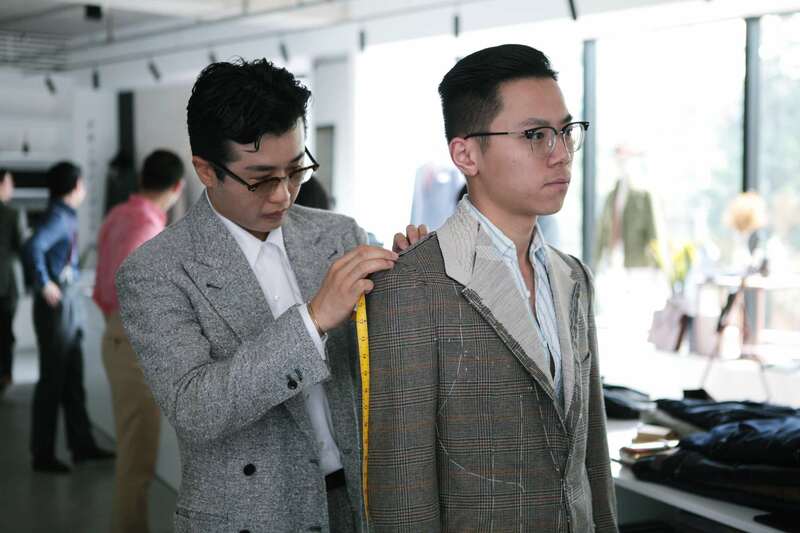 Our bread and butter is our made to measure suits and shirts and we’ve consistently nailed our customers fittings, made the right suggestions and of course we make sure from start to finish each customer is satisfied with the service, style and end results. So, as you can see it is a little bittersweet to say goodbye to 2017. However, we are very excited for what we have planned in 2018. 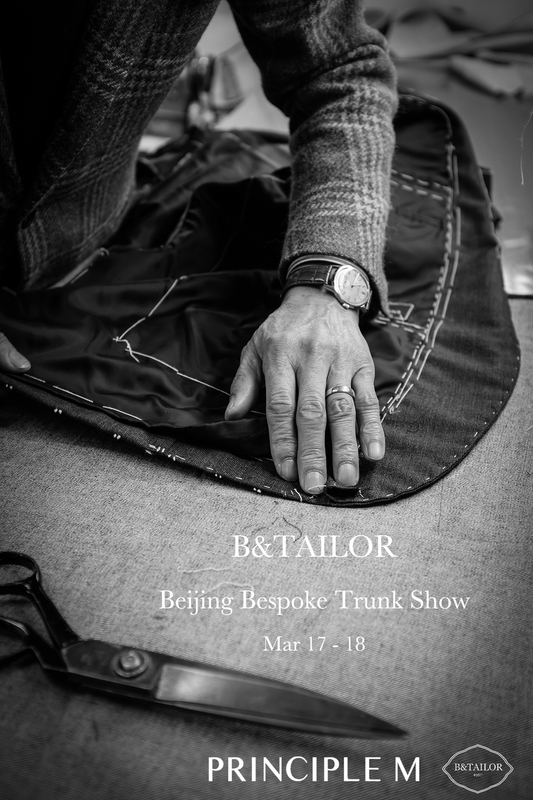 You can expect continued trunk shows from bespoke tailors, consistent development in our house made to measure, more new ready to wear products from European brands as well as our own ready to wear products rolling out throughout the year. 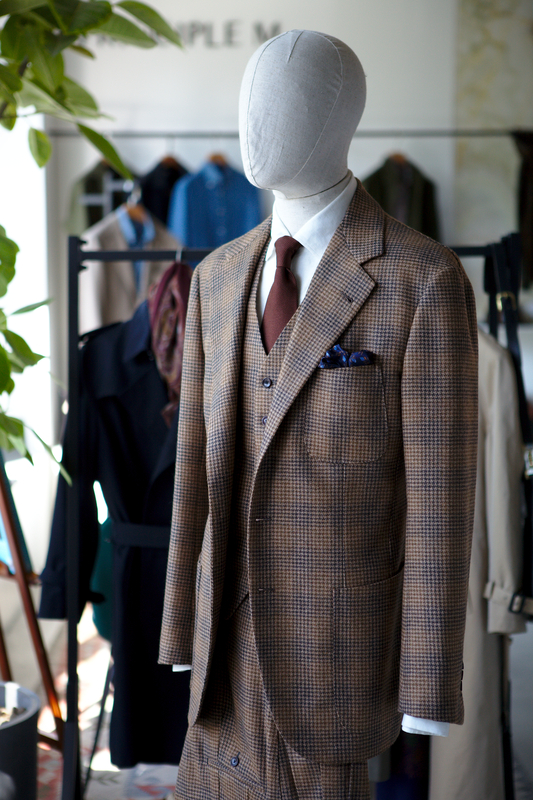 Most importantly, thanks to all of you for your support & love of classical menswear! We’ve enjoyed all of the moments in-between the ‘work’ and look forward to more great times together.